Five people have been killed in landslides triggered by Typhoon Ewiniar, the fourth typhoon to hit south China's Guangdong Province this year, the local government said Friday. 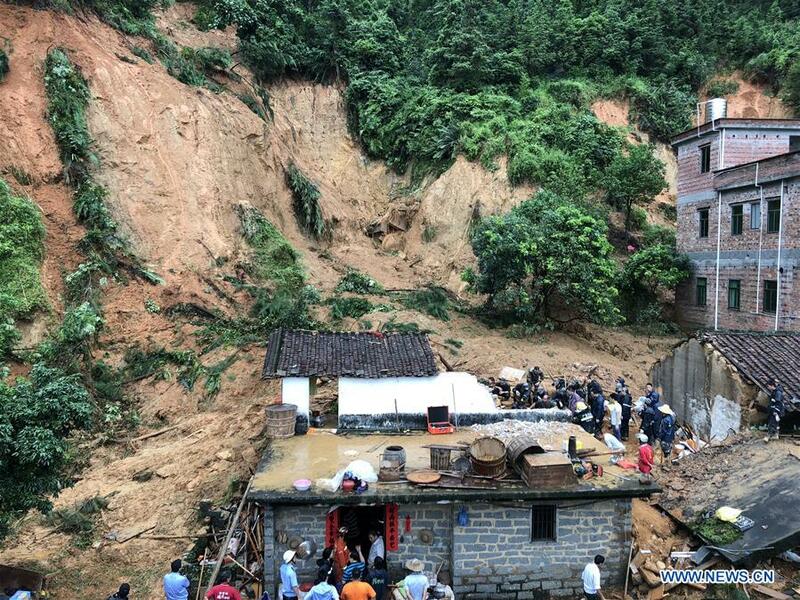 According to authorities in the city of Yunfu, torrential rain hit Xinxing County, causing houses to collapse and landslides that killed five residents. As of noon Friday, over 1,000 people from 12 towns and villages in Xinxing had been relocated to safety. multiple parts of Hainan and Guangdong provinces Wednesday, bringing heavy rain and strong winds to many areas in southern China.